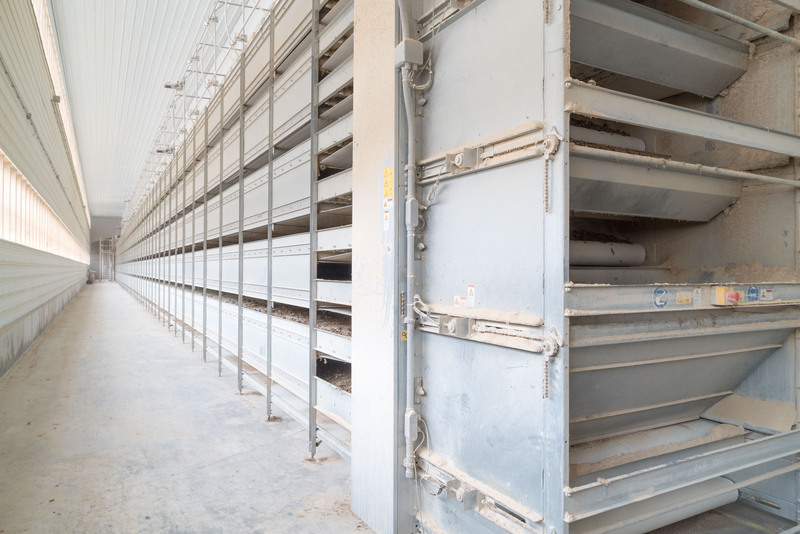 OptiSec is a manure belt-drying tunnel providing optimum drying of fresh or pre-dried manure from cage and aviary laying systems. 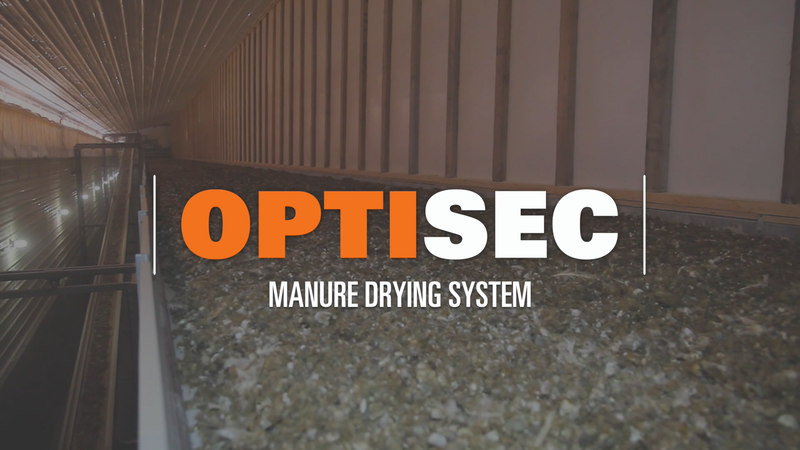 The OptiSec is able to achieve a moisture content of 10%, creating ideal conditions for safe storage or further marketing of the manure. It is engineered to thoroughly and evenly dry a large volume of manure in a short period of time. 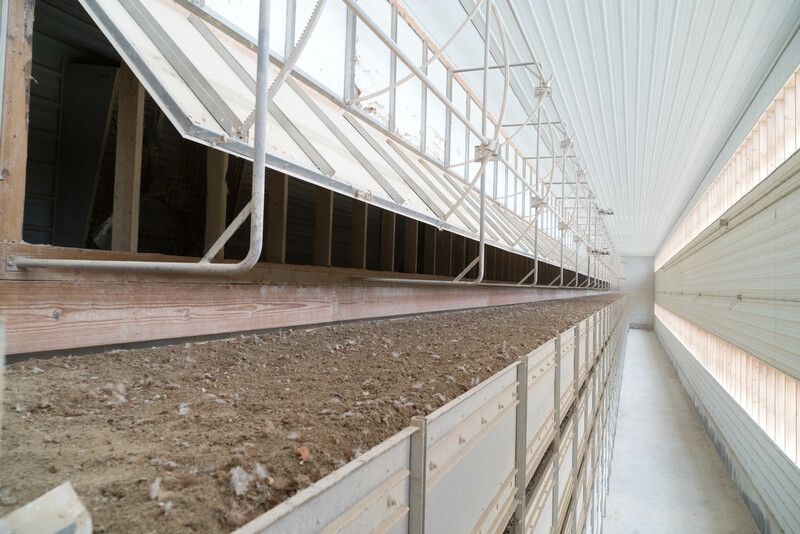 Air leaves the poultry house and enters the manure drying tunnel, and then circulates through the manure, further aiding in drying the manure, and then the air exits the building. The roller sleeves, combined with the perforated manure belt, allow for thorough and even air circulation. 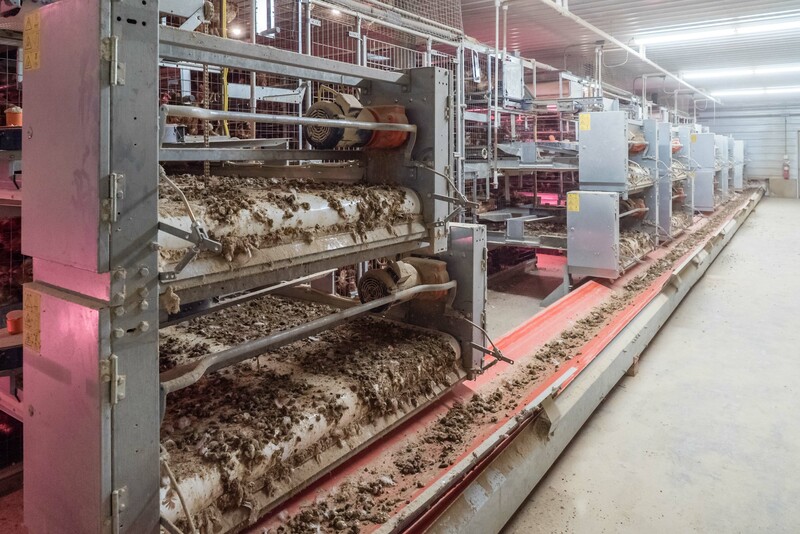 The roller sleeves keep the manure belt from touching the rollers, keeping the manure away from the rollers, resulting in longer lasting rollers. The chopper consists of a rotating shaft which chops up the manure chunks before they are fully dried, allowing manure to be dried more evenly. 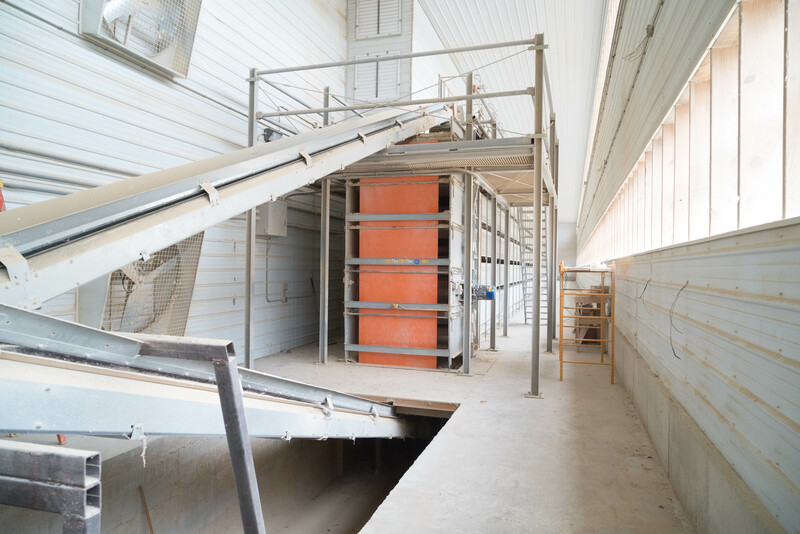 The dosing station is installed in the topmost tier of the drying tunnel. 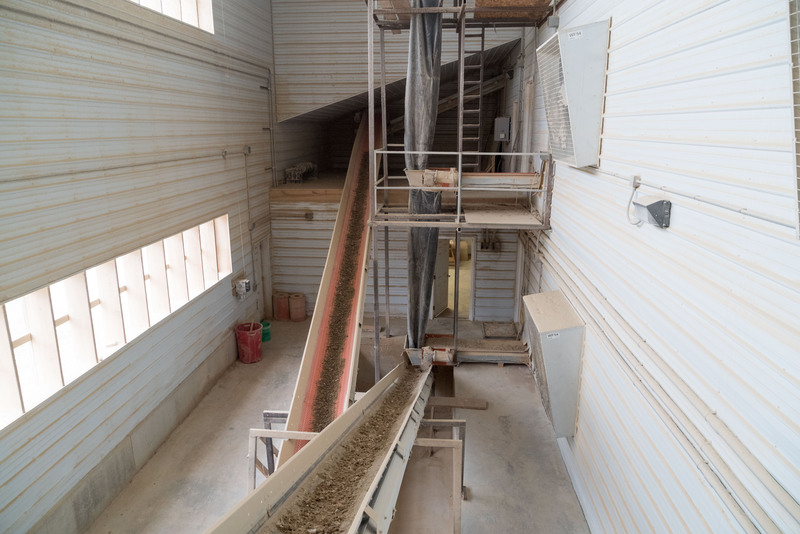 The quantity of manure, speed of the belts, and the two distributing spirals are coordinated, ensuring a very even distribution of manure on the drying belts, resulting in very consistently dried manure. The extra wide manure belt will hold more manure than any other system, all the while allowing you to spread the manure evenly, resulting in an even and consistent dryness.